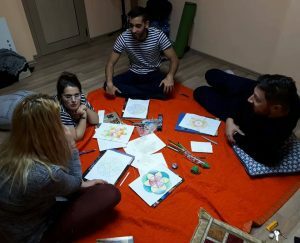 Association EUni Partners is delighted to announce our newest volunteering project “Volunteering 4 Social Empowerment” funded by Erasmus+ Programme, which have started on November 1st. Within next 12 months, we will host 4 volunteers, Miguel from Spain, Alexia from France, Jovana and Branko from Serbia. The aim of the project is to empower young people with skills and competences, which will help them to strengthen their sense of citizenship, responsibility and initiative; improve their media literacy and critical thinking; digital and organizational skills; their career possibilities on labour market, give a chance to gain international experience, develop their tolerance and sense of solidarity and widen their horizons. Volunteers will gain experience in youth work, non-formal training activities, as well as methods for inclusion and integration. We are looking forward to work with our volunteers, and build together something great!